Stubbs, the son of a convict Thomas Stubbs (d.1815) and his wife Esther, was the first widely noted native-born European-Australian musician. At about age 10 he left Australia and joined the British army, serving in India in the 24th Regiment until 1823. Back in Britain, he was stationed at Gosport in December 1823, and Devenport in 1825, where he was also listed as being on duty in the regimental band. He was discharged at Cork, Ireland, in February 1825, and arrived back in Sydney on the Lonach on 4 September 1825. In June 1826 he married Ann Elizabeth Fitz (b.1809) at St. Matthew's Church, Windsor, where he was variously a farmer and publican. Professor of the Royal Patent Kent Bugle and Teacher of the Flute, Violin, and French Horn . . . Square Pianofortes Tuned. Shortly afterwards he moved to Rose Cottage, Druitt-street, as a "Commission Agent", beginning his path to becoming by the early 1840s Sydney's leading auctioneer. Having returned from a brief visit to London, he appeared in a public concert on 31 October 1833, and in 1837 was honorary secretary of the so-called Philharmonic Society, an apparently fairly loose association of the town's leading amateur and professional instrumentalists active c.1833-38. Tn the mid 1830s Stubbs also performed of an evening in the band of the Theatre Royal, apparently in a semi-professional basis, like several other of its members also otherwise engaged in the commercial sector. He continued public musical activities on an amateur basis into the early 1840s, and, though not positively documented as such, was probably a member of the Cecilian Society. Stubbs was also a leading member of the cricket team of the Australian Club; Richard Cashman has identified him as cricketer-author of 2 letters signed "Tom the Native" in the Herald on 12 March and 16 March 1835. Early in 1850, following financial difficulties in Sydney, Thomas moved to Melbourne. He died at St. Kilda in 1878. 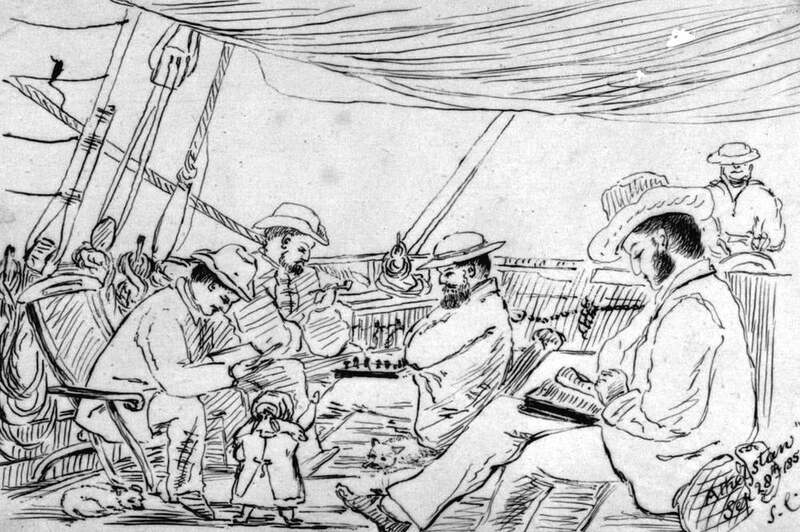 Stubbs is named in Herman Melville (1819-1891)'s autobiographical novel Omoo: a narrative of adventures in the South Seas (London: John Murray, 1847), recounting the author's experiences aboard the Australian whaler, Lucy Ann, sailing from the Marquesas Islands to Tahiti late (between July-November) in 1842. Thomas and Annie's sons (but not their daughters), Robert (1828-1887), Thomas (1830-), Napoleon (1834-1903), Alexander (1836- ), William (1839- ), and Henry (1841- ), all had Fitz as a given name, as see, for instance, in a published list of donations made by the family in January 1847. By May 1855 Robert, in business with his father in Sydney and Melbourne, was assuming the dual surname, Fitz Stubbs, which in practice was often hyphenated Fitz-Stubbs, and occasionally elided Fitzstubbs. To Agriculturalists, Settlers, and Others. MR. THOMAS STUBBS respectfully informs the Public that he has commenced BUSINESS at the Market Wharf, Sydney, as GENERAL COMMISSION AGENT, For the Hunter's River, Hawkesbury, ILLAWARRA, And the other Districts of the Colony; and he proposes to receive every description of Colonial Produce for Sale on Commission. Having had considerable experience in these matters, Mr. Stubbs feels convinced that he will give every satisfaction; and those Persons who honor him with their Commissions may depend upon the strictest punctuality, assiduity, and despatch. Mr. S. is prepared to give security for Goods committed to his care, and will place the proceeds of sales in the Banks, to the credit of his principals, or honour their orders for the amount. June 7, 1832. THOMAS STUBBS, Professor of the Royal Patent Kent Bugle, AND TEACHER OF THE Flute, Violin, and French Horn, BEGS to inform those young gentlemen of Sydney, who wish for a knowledge of any of the above Instruments, that they can receive lessons immediately on moderate terms. Pupils regularly attended three times a week (per quarter), or by the lesson. Square Piano-fortes tuned. No. 17, Philip-street, Sydney, 15th Jan. 1832. Mr. Stubbs, a native of the Colony, we perceive, advertises to give lessons on the flute, violin, and French horn. Mr. Stubbs has been in the army, and his performance on the last of these instruments, we understand, is of the utmost perfect description. We wish him success. Mr. Stubbs has been a cultivator to a considerable extent at the Hunter. The four years drought, and finally the last flood at the Hunter, were too much for his capital and perseverance, and he has now taken up his old profession. On Thursday night last, His Excellency the Governor, attended by several gentlemen and ladies of distinction, honored the Sydney Theatre with his presence, agreeably to announcement. The house was crowded to excess; from gallery to pit, and in the dress circle, could be recognized, a considerable portion of the beauty, rank, and fashion, in and about the metropolis. The bill of fare for the evening, was "The Heir at Law," and "High Life below Stairs" . . . The Chief Justice was also in attendance, and appeared to be gratified at the performance, as it proceeded. The music was chaste and harmonious - free from that jarring discord which on other occasions has offended our ears. The seraphine, a delightful instrument in the chamber, was here introduced, but it certainly has not sufficient fulness of tone for a theatre; with that reservation, its strains were most harmonious, and Mr. Cavendish, who played upon it, displayed great execution and taste, accompanied by Mr. Stubbs' flute, which commanded the admiration of the house, and was loudly applauded; a more exquisite specimen of taste and execution on that instrument is seldom to be met with in this Colony . . .
ESTATE AT PATERSON'S PLAINS. In pursuance of Powers from England, from the next of Kin of the late WILLIAM WASS, deceased . . . Mr. BODENHAM has the honor to announce that he has received directions to Sell the above valuable Property; consisting of eighty acres of Land, together with two Messuages, Barn, and Hut, at Paterson's Plains, upon the river, formerly occupied by Thomas Stubbs, Innkeeper, and known as "Binder's Farm" . . .
On Friday, a case was brought on, which seemed to diffuse a vast deal of interest among the the Sydney dilletanti in general, and the dramatis personae in particular. The plaintiff was that engaging actress, Mrs. Jones, better known by the more tender name of Love. Mr. Barnet Levy was the defendant . . . Mr. Allen, Registrar of the Court of Requests, who appears to be a great patron of the drama, [. . .] deposed that he visits the Theatre every night it is open, but neither on the occasion in question, nor any other, did he ever see any indication of what had been imputed to her. Then Mr. Stubbs, a member of the Orchestra, who declared her to have been perfectly sober on the night alluded to. Ditto Mr. Knowles, ditto Mr. Buckingham, ditto Mr. Peat [? ], ditto Mr. Dyball . . .
NOTICE. THE Inhabitants of Portland Head, and the Hawkesbury generally, are informed, that the Undersigned continues to transact the Agency business for up-country Settlers, and very respectfully solicits the patronage of those Gentlemen who have now an opportunity of shipping their produce to Sydney per William the Fourth, the proceeds of which are regularly paid to order, or placed to the Credit of principals in either Banks. THOMAS STUBBS. Druitt Street, Near the Packet Office.
. . . Between the Parts, Solo on the Flute, BY MR. STUBBS . . .
. . . a solo on the flute by Mr. Stubbs was brilliantly executed, it was decidedly the finest performance throughout the evening . . . the company departed well pleased with the evening's entertainment . . .
. . . Mr. Stubbs's performance on the flute evinced him to be a master on that sweet instrument; but a solo on the flute is not adapted to a concert room . . .
. . . THEATRE ROYAL, SYDNEY. ON WEDNESDAY EVENING, 18th March, 1835, will be performed for the second time this Season, GIOVANNI IN LONDON; OR, THE LIBERTINE RECLAIMED . . . In the course of the evening's performance, Mr. STUBBS has kindly consented to play A SOLO, with variations, on the Kent Bugle . . .
CONCERT. MRS. TAYLOR RESPECTFULLY announces . . . that her CONCERT will take place at the Pulteney Hotel, on TUESDAY next, the 24th instant. . . PART II . . . 6. Solo, Flute, Mr. Stubbs . . . Nicholson . . .
We understand that Mr. Stubbs will give a concert at the Pulteney Hotel in about a fortnight or three weeks hence, when the entire musical strength of Sydney will lend their assistance. (FROM A CORRESPONDENT.) . . . If we except the pieces performed by the 17th band, which are always good, the Solo on the flute, and the Foreign Air, there was nothing given beyond insipid mediocrity! . . .
[Editor] The above remarks are from the pen of a correspondent, whose intelligence and taste are indisputable. But we cannot join with him in his sweeping censure. We heard much that was pleasing. The instrumental performers (we mean those who performed solos) having already been awarded a just meed of praise by our correspondent, we will pass by, merely staling that we fully agree in all that has been said of them. The performances of Mr. Stubbs and Mr. Lewis would have been admired in any orchestra in the mother country . . .
Mrs. Taylor gave her Concert on Tuesday evening last, at the Saloon of the Pulteney Hotel, to rather a thin house, scarcely sufficient we should think to cover the expenses. The performers were Mesdames Taylor, Boatwright, and Child, and Messrs. Simmons, Ellis, Gordonovitch, and Bonner; Mr. Cavendish presiding alternately at the Seraphine and Pinoforte [sic]. Mr. Thomas Stubbs assisted on the flute, and the Band of the 17th Regiment with their scientific leader Mr. Lewis, performed several celebrated Marches in their best style, and were loudly applauded throughout the evening. The finest piece of music next to the military performances, was a beautiful selection of airs with variations, by Mr. Stubbs, on the flute, and which for sweetness and expression we never heard equalled at any previous Concert . . .
MR. STUBBS has the honor to announce to the Public, and his numerous circle of acquaintance, that he will, under the patronage of His Excellency the Governor, hold a Concert in the Saloon of the Royal Hotel, on Easter Tuesday, the 21st Inst., aided by the whole of the Professors and Amateurs of Music in Sydney, and having made such general arrangements as are available in this Colony, for the gratification of his Patrons, respectfully trusts his "NATIVE MINSTRELSY" will be handsomely supported and popularly attended. Tickets Six Shillings, Pamphlets included. Mr. Stubbs will give a Concert in the Saloon of the Royal Hotel on Tuesday the 21st inst. We have no doubt that his "Native Minstrelsy," to use his own words, will be handsomely supported, and popularly attended, especially by his fellow countrymen. Mr. Stubbs gives a Concert, under the patronage of the Governor, at the Royal Hotel, on Easter Tuesday. Mr. S. is a native of the Colony, and will doubtless be well supported, especially by his brother natives. Mr. Stubbs, the celebrated player on the flute and bugle, advertises a Concert to take place on Easter Tuesday, at the Royal Hotel, at which he promises a muster of all the vocal and instrumental performers of Sydney. An Italian lady, of some celebrity as a vocalist, is expected to assist at the performances. TO THE PUBLIC. MR. LEVEY feels it an imperative duty to inform the Public, that at the solicitation of Mrs. Taylor, through the medium of Messrs. Sippe and Stubbs for an engagement at his Theatre, and he, Mr. Levey, thinking that the addition of Mrs. T. to his dramatic corps might have met the wishes of his Friends and the Public generally, he engaged her on her own terms, viz., one pound per night, in the presence of the above-named gentlemen; and further gave her choice of characters to appear in, when she selected the part of Mrs. Haller, in the play of the Stranger for Monday next. Judge then the surprise and astonishment with which a note was received by Mr. Levey, saying she could not engage. This after an engagement made at her own request and before two respectable gentlemen, only three days prior to her promised appearance as specified in the bills and advertisements, certainly discreditable, to say nothing of dishonourable, obliges Mr. Levey to publish this plain and honest statement to the Public at large, in order to prevent the possibility of any sinister tongue making false statements. The gentlemen referred to attach their certificate, as to the veracity of the foregoing. We, the under signed, hereby certify that the facts contained in the above are wholly true. [signed] GEORGE SIPPE. April 3, 1835. (Copy of Mr. Stubbs' Note to Mr. Levy.) Rose Cottage, Druitt street, Saturday. Sir. - In reply to your's of this morning, I beg leave to say, that Mrs. Taylor particularly solicited my interference with you in her behalf, to re-engage her services at your Theatre, and I can bear testimony to the handsome manner with which you met her proposals, and the readiness that lady accepted the engagement of One Pound per night, and her promise to appear on Monday. I am Sir, Your very humble servant, THOMAS STUBBS. To Mr. B. Levy, Theatre Sydney. To the Editor of the Sydney Gazette. SIR, IT has never been my wish to enter into a newspaper controversy; but finding myself attacked in a most ungentlemanly manner by Mr. Levey, in the Gazette of this day, I feel compelled to refute the slander he has circulated respecting me. In order to vindicate myself, and for the satisfaction of my friends I shall make a concise statement of the facts, so far as they concern myself with the abovenamed GENTLEMAN. On Thursday morning last Nr. Stubbs called on me on the part of Mr. Levey, whose wish it was that I should return to the Theatre (and not at my solicitation, as stated by him) and appointed a meeting at the house of Mr. Sippe, as Mr. Levey objected to call upon me . . . I remain, Sir, your obedient Servant, M. M. TAYLOR. Pitt-Street, 4th April, 1835. WE are requested to state that the Principal Vocal und Instrumental Performers to MR. STUBBS' CONCERT, are as follows, viz.:-. Vocalists, MRS. RUST, Professor of Singings; Pupil of the Royal Academy, London, and Member of the Philharmonic Society of Milan; MRS. BOATRIGHT, MR. CLARKE, MR. GORDONOVITCH, MR. SIMMONS, MR. WILLIAMSON, and other Amateurs. Instrumental Performers, MR. WILSON, (Leader) MR. LEWIS, Master 17th Band, MR. COLEMAN, Master 4th Band, MR. SIPPE, MR. CAVENDISH, MR. JOSEPHSON, MR. STUBBS, &c., &c, &c.
Mr. Stubbs' Concert, at the Royal Hotel, on Tuesday evening last, went off with the most perfect éclat, to a crowded and respectable audience. Mr. Stubbs' arrangements of the evening reflected considerable credit, and the performances, in every particular, surpassed any previous entertainment of the kind in the Colony. The principal attraction of the evening was that of a female debutante named Rust, a professional singer recently arrived amongst us from Europe, and whose brilliant talents will, no doubt, be the means of forming a new era in the musical history of Australia. Mrs. Rust made her appearance in the beautiful duet of Bishop's Oh! Maiden Fair, with a gentleman named Clark, and we must confess ourselves disqualified to point out its varied beauties it was a first-rate exhibition of vocal talent. At its conclusion followed one of the most noisy bursts of applause we have heard for some years, forming a strange contrast with the recent mellifluous tones. This lady also sung the song of Lo! here gentle lark, and another duet with Mr. Clarke, When thy bosom heaves a sigh, in both of which she displayed her superior talents as a singer. Mrs. Rust's style of singing appears to approximate to that of Miss Paton of the London theatres, but her forte is said to be the Italian, in which some of our music masters say she is nearly on an equality with Camporesi; these comparisons will not appear absurd when it is known that Mrs. Rust has practised professionally at Milan, and other places in Europe. We were glad to witness such a strong muster of instrumental performers,- Messrs. Wilson, Cavendish, Sippe, Stubbs, Lewis, Coleman, Josephson, and the band of the 17th Regiment. The Overtures were executed in masterly style, and we believe gave universal satisfaction. Mrs. Boatright sung the martial song, Follow to the War, with great effect, and Miss Douglas, under some disadvantages, gave the song of Gaily we Dance, in a very pleasing manner. With proper care, this young lady would become a first-rate ballad-singer, possessing a sweet voice and a neat style of execution, assisted by a knowledge of the science. The Bridesmaid's Chorus wanted vocal strength; the whole power of the performers should have been thrown into it - without which it is absurd to attempt chorusses. The glees appeared to want more animation, although the singers no doubt "followed copy;" the Muleteer's Glee was the most satisfactory. His Excellency the Governor was present at the performance, which closed at a late hour in the morning. - Mr. Stubbs may take to himself the gratification of having got up the best musical entertainment ever exhibited in Australia, and we believe no one left dissatisfied with the performances of the evening. There were upwards of three hundred persons present. Mr. Stubbs' Concert was performed on Tuesday night, before a numerous, respectable, and highly delighted audience of least 300 persons. Great expectations had been raised from rumours of the fine singing of Mrs. Rust, which were more than realized. It has seldom fallen to our lot to hear a more accomplished vocalist; and while we congratulate the Colony on so great an acquisition to our soirees, our thanks are due to Mr. Stubbs for introducing a lady so competent to afford us delight. We should say that Mrs. Rust's forte was Italian music; in an English song, she appears out of her proper element; her enunciation is not clear. Indeed, it would seem that she never before sung our native melodies. But she labored under disadvantages from ill health, which prevents us from forming a correct opinion of her excellence. The voice, especially, is affected by ill health; of hers, therefore, we can form no correct opinion, and will only say, that her lower notes are good, and that she has a very great compass of voice. She manages her higher notes with judgment and clearness, and her shake is very fine. - We wait with impatience to hear her under more favorable circumstances. Even laboring under the disadvantages she did, Mrs. Rust gave us great pleasure. The Concert opened with the overture to Rossini's opera of "Il Barbiere di Seviglia," which was beautifully performed by a most excellent orchestra. Mr. Lewis's solo on the clarionette was a high treat, and gave the greatest satisfaction. We are indebted, too, to Messrs. Stubbs and Wilson for the pleasure their masterly style of playing afforded. Mr. Josephson played a concerto by Lozier [? Logier], and did full justice to the composition of that celebrated pianist. - Mr. Gordonovitch sang "Di Piacer" with good taste, and, with the other singers, added to the pleasure of the evening. Mrs. Rust was encored in her first song, and her others narrowly escaped repetition. The audience listened with great attention to "The Miseltoe Bough," as sung by Mr. Simmons. We are sorry that the songs selected for Mrs. Boatwright were not the ones suited to her style of singing. They were, we think, beyond the compass of her voice and execution. Plaintive melodies are her forte; had she sung them, she would have given more general satisfaction. We stated before that she was an improving singer; - the event has shown that opinion to have been correct, or she could not have sung the songs she did. Still more simple melodies would have suited both her voice and execution better. In our notice of the last Concert, we ventured to remark that there was too much vocal, and not enough instrumental music. The hint was of use, or Mr. Stubbs' good taste made him avoid the error; there was a fair "division of labor." We are in too good a humour with the Concert and performers to find much fault, or we should say, that Mr. Cavendish is not a good person to accompany a timid singer; he gives no assistance to the singer; and to be well accompanied, is of the first consequence. On the whole, we were highly delighted, and look forward with pleasure to another Concert under Mr. Stubbs' judicious management. We are happy that this one was so well attended, and honored by the presence of His Excellency, since it may induce Mr. S. again to come forward to add to our amusement. The theatre will re-open for the season on Saturday evening . . . From the orchestra, too, Sippe, Wilson, and Stubbs have retired - because, it is said, they could not obtain an increase of salary. Of this, however, we know nothing; but it certainly is not very encouraging to open the theatre with a diminution in the strength and talent of the performers and musicians. WITH A CELEBRATED TRAGEDY, and other Entertainments . . .
Leader of the Band - Mr. Clarke. Violins - Messrs Spyers, Johnson, Dyer, and Scott. Principal Flute - Mr. Stubbs. Violincello and Grand Pianoforte - Mr. Cavendish. Clarionets - Messrs. Turner and Sharp. Bassoons - Messrs. Hoare and Ball. The Public are most particularly requested to notice, that under the new arrangement, the Door will open at half-past Six, and the Performance will commence with an Overture, the composition of some well-known Author, by the full Band at Seven o' Clock precisely, and the curtain will rise at the conclusion of the same . . .
. . . under the sole direction of Mr. JOSEPH SIMMONS.
. . . By the by, a word or two to the gentlemen of the orchestra - those gentlemen whose high-sounded talent we have heard that the lessees took such pains, and were at such additional expense to procure. These gentlemen, whether they had received their cue or not, seemed intent on damning the dance, and we must own that their success was commensurate with their diligence - they effectually spoiled it, in addition to their having made two or three awkward attempts before their last failure, instead of those grand overtures, &c, which we were led to believe the new musical department of the Theatre would invariably introduce between the pieces and acts, a few country dances and common airs only were introduced. Of course we except Mr. Stubbs's solo on the key bugle, which was performed with a masterly hand, especially that beautiful strain from Paul and Virginia, "See from Ocean rising" . . .
On Monday evening [8 June] an unusually crowded audience assembled to witness the performance, and to welcome the return of Captain Piper to town, who, agreeably to advertisement, honoured the theatre with his presence on that night . . . Mr. Stubbs's solo on the bugle was admirably executed, and rapturously received . . .
RESPECTFULLY informs her friends and the public in general, that her Entertainment, announced to take place in the Saloon of the Royal Hotel, will now be performed in the Theatre, which she has engaged from Mr. Simmons, he having become the Sole Lessee, and on which occasion he has offered his valuable services gratuitously. For the programme, see bills of the day. Song - The Romalka, (Moore's Melodies) accompanied by herself on the Piano-forte, and Mr. Stubbs on the Flute. Scotch Air - "Within a mile o' Edinbro' town." French Air - "Dunois the brave." The following characters will be sustained by Mrs. Taylor, and in which she will sing the following songs. Jeanny Dean, Madame Meannette, Mrs. Haller, Louisa Lovetrick, Marguerite, Becky Butterfly, Agnes, Ernestine, and Don Giovanni. A New Medley Song - Buckstone. "I have a silent sorrow here" - Sheridan. "Dashing White Sergeant" - Whittaker. "My heart's true blue" - A. Lee. "When the hollow drums" - Colman. "Morning at Bow-street," and "London at Six o' Clock in the Morning." Messrs. Stubbs, Clarke, Cavendish, Wilson, and Sippe, who have kindly offered their services gratuitously. The performance will commence at Seven o'Clock, and terminate at Eleven. Tickets and Boxes to be had at the Theatre. Prices to all parts oft the house as usual. For the Ladies. On New Year's Day will be Published, THE MINSTREL WALTZ, for 1836, Dedicated by permission, to Mrs. E. Deas Thomson. Composed by T. Stubbs, Published for the Proprietor at Ellard's Music Warehouse, Hunter-street. Mr. Stubbs has composed a waltz for the new year, dedicated to Mrs. E. D. Thomson, of which report speaks very highly; we are happy to find that the fine arts are not annihilated under the hand of Plutus - or to speak less like "the schoolmaster in Botany Bay," lost sight of in the eager pursuit of riches; the Colony appears to be awakening to a proper sense of the value of these portions of the fabric of society - painting flourishes under the skilful pencil of Mr. Martens, and promises to extend to the Mother Country in language more forcible than that of 50 "Histories" the knowledge of this Colony. We have received a copy of a Musical trifle just issued from the Australian Press, entitled "The Minstrel Waltz," composed by Mr. Thomas Stubbs, of Sydney, which is intended as a New Year's Gift for the Ladies of the Colony. The sheet is very well engraved and printed; and the composition appears creditable to Mr. Stubbs, who, by-the-by, is a Native of the Colony. The Waltz is set in an easy key - C major - and arranged in the most simple manner, so as to be accessible to juveniles. Some of the passages in Mr. Stubbs' production are extremely pretty - particularly that commencing from the third double bar; the finale is not so good. The Waltz is on sale at Mr. Ellard's. Rarely have we been more truly gratified at any literary present, than by this unique New Year's Offering to the Muses. The composer of the piece is Mr. Thomas Stubbs. The artist who engraved and printed it is Mr. Wilson, of Hunter-Street, Sydney. We do not say too much when we set down this little work as a chef d'ouvre in its way, considered as a Colonial production, and the first thing of the kind yet published here. Did it not possess all the merit of composition and ingenuity that it does, we should still applaud it as opening a way for the fine arts into New South Wales, of which, the composer, Mr. Stubbs, is a Native, and the engraver a Colonist of some years. No lady in the Colony should be without "The Minstrel Waltz." Mr. Stubbs has presented us with a piece of music composed by himself, called the "Minstrel Waltz," as a New Year's Gift. It is very neatly got up, and reflects credit on the engraver as well as the composer. MR. W. WALLACE, Leader of the Anacreontic Society and Professor of Composition, Royal Academy, BEGS to announce that his CONCERT of Vocal and Instrumental Music will take place in the Saloon of the Royal Hotel, on FRIDAY EVENING, the 12th February . . . Fantasia - Flute. . . . Mr. Stubbs . . . The General Meeting of the Patriotic Association having declared the situation of Secretary vacant; here are already three candidates in the field,- they are Mr. Nathaniel Lipscomb Kentish, Editor of the late Sydney Times, Mr. Richard Hipkiss, Librarian to the Sydney Mechanics' School of Arts, and Mr. Thomas Stubbs of Druitt-street, a native of the Colony. To the President, Vice-President, and Members generally of the Patriotic Association. GENTLEMEN - I do myself the honor to solicit the favour of your consideration and interest at the ensuing Election for the office of Secretary to your Patriotic Body. If a very earnest assurance of my best endeavours to promote the interests of my Country in that of the Association, be favourable to my Canvass, these are uprightly and attentively at your service, and all (in the absence of any personal influence) that I am able to offer. I have the honor to be, Gentlemen, Your most bumble Servant, THOMAS STUBBS. Rose Cottage, Druitt-street, February 29, 1836.
. . . Mr. Stubbs, one of the candidates, expressed himself much disappointed at Mr. Carmichael's name being allowed to be placed on the the list of candidates. Many gentlemen who had promised him their votes had expressly said that if Mr. Carmichael put up for the situation they would vote for him . . .
. . . Mr. Wentworth said Mr. Carmichael might now offer himself . . . Mr. Stubbs rose, and asked if he was out of order, and being informed by the President he was not, said that he happened to be one of those who, invited by advertisement, had offered himself as a candidate for the Secretaryship, and naturally now felt injured in his feelings, and decidedly out of pocket by this resolution of bringing in Mr. Carmichael to offer himself long after the closing day for receiving proposals had passed! . . . Mr. Josephson questioned Mr. Carmichael's eligibility, as a professing Minister of the Gospel, and a Schoolmaster, to act as Secretary to any political body . . .
Mr. Forbes having embarked on board the Brothers, we lay before our readers copies of the different addresses which have been presented to him on his temporary retirement from the Colony . . . Several gentlemen who were of opinion that His Honor deserved an address from the Colonists generally in public meeting assembled, addressed a requisition signed by forty-three persons to the Sheriff requesting that officer to call a public meeting "for the purpose of voting an address to his Honor the Chief Justice, and of testifying the very high respect we entertain for him." . . . Mr. Thomas Stubbs in a brief but pointed speech moved that the following address be received as the address of the free inhabitants of the Colony in public meeting assembled, and be signed by the Chairman in their behalf . . . Addresses have been presented to His Honour the Chief Justice, by the Attorneys of the Supreme Court, and by the Trustees and Shareholders of the Sydney College; want of space, we regret to say, prevents our publishing them, as well as the Address adopted at the Public Meeting on Saturday, and presented to His Honour by Mr. Thomas Stubbs. Mr. Edward Smith Hall, the Editor of The Sydney Monitor, was the successful candidate for the office of Secretary to the Patriotic Association, vacant by the disappearance of Mr. John Stephen, at the election on Friday last. Whatever discord may have hitherto existed in this colonial community, we are happy to state that harmony will now be restored, as Mr. Thomas Stubbs, who has the very soul of music in him, has become one of the principal performers in the political drama. MR. JOHN PHILLIP DEANE, Member of the Philharmonic Society, and Professor of Music, BEGS to announce to his Friends and the Public generally of Sydney, and its vicinity, that he will give a CONCERT of Vocal and Instrumental Music, at the Royal Hotel, on WEDNESDAY, May 18, 1836, on which occasion the following eminent talent will render their valuable assistance. Principal Performers: Mr. Aldis, Mr. Allen, Mr. Cavendish, Mr. Stubbs, Mr. Sippe, Mr. Wilson. Masters John and Edward Deane, Miss Deane, several Gentlemen Amateurs, and Mrs. Chester . . .
SONG - Mocking bird, Mrs. Chester, (flute obligato) Mr. Stubbs . . . Bishop . . .
MUSIC: The septette, probably playing from the printed parts of Salomon's arrangement of Haydn's Symphony No. 94, in Nos. 1, 2, 3 of Haydn's grand symphonies composed for Mr. Salomon's Concerts and arranged for five instruments, viz! 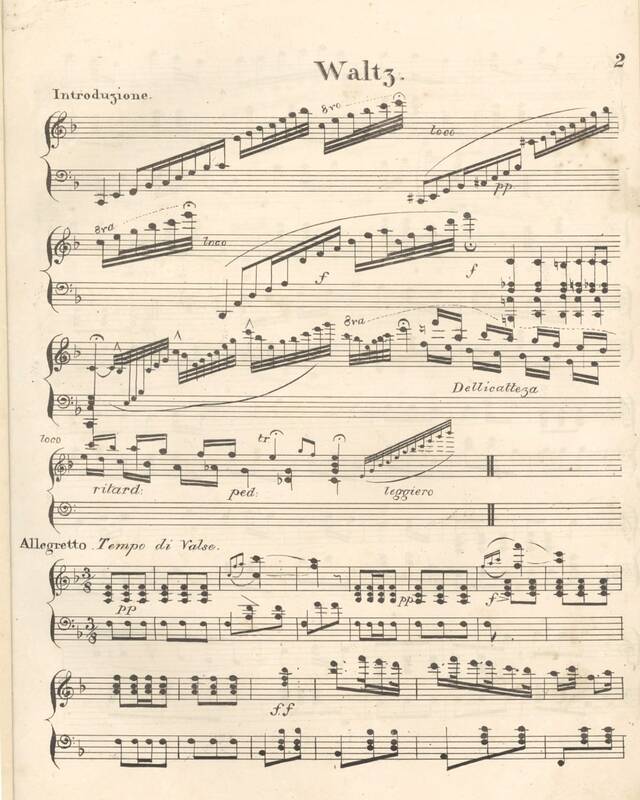 two violins, a German flute, a tenor, and a violoncello with an accompaniment for the piano forte ad libitum by J. P. Salomon, the separate printed bass part of which might have made up the 7th part. Mr. Deane's Concert took place last night at the Royal Hotel. There were about four hundred persons present, and at eight o'clock the Concert commenced with the Overture to Tancredi, performed in fine style by Messrs. Deanes, Cavendish, Wilson, Sippe, Stubbs, and the Bass of the excellent Band of the 4th Regiment, under the superintendence of Mr.---, who gratuitously exerted himself, as did all the performers for Mr. Deane's benefit . 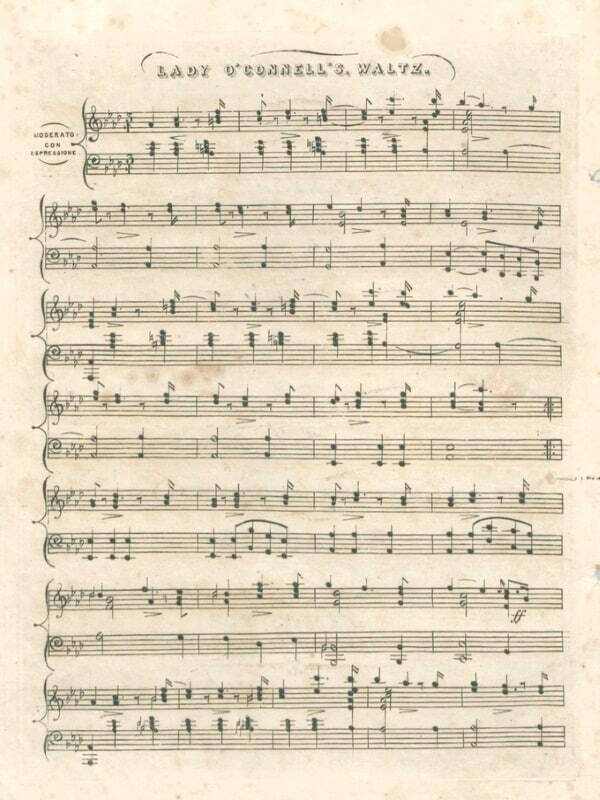 . . A Septette performed by Mr. Deane, Miss Deane, Masters I. and E. Deane, Messrs. Cavendish, Stubbs, and Wilson followed, and was a real musical treat, embracing almost the entire talent of Sydney . . . Mr. Stubbs's solo on the flute, "Come where the Aspens Quiver," with variations, was a masterly performance, and was most deservedly lauded. Mrs. Chester did ample justice to the "Mocking Bird," and was accompanied by Mr. Stubbs, with much feeling . . .
. . . The Septette, introducing Haydn's Surprise, by Messrs. Cavendish, Stubbs, Wilson, Deane, and James [John] Deane, was a performance which exceeded in brilliancy the expectations of the most sanguine . . . Mr. Stubbs in the flute solo was very happy in the execution of some very difficult passages - and of course met with great applause. In his obligato accompaniment to the song of the Mocking Bird, by Mrs. Chester, he appeared to still greater advantage; the beautiful and flowing passages of this song are well adapted to Mrs. Chester's voice and her execution of it caused a thrilling sensation throughout the audience . . .
. . . In Mr. Stubb's hands the flute became indeed "il flunto mágico" [il flauto magico]. Mrs. Chester seemed to be rather indisposed, yet she warbled in solos and duets with customary sweetness . . .
MR. J. P. DEANE, Member of the Philharmonic Society, London, and Professor of Music, RESPECTFULLY informs his Friends and the Public, that he will give his next CONCERT of Vocal and Instrumental Music on Wednesday Evening next, July 6th, 1836, in the Saloon of the Royal Hotel, under the Patronage of His Excellency the Governor (who has signified his intention of being present), on which occasion he (Mr. D ) will be supported by Mrs. Chester, Miss Deane, Messrs. Cavendish, Stubbs, Sippe, Wilson, Masters J. and E. Deane, and several Amateurs . . .
PART I. . . . SONG - Lo here the gentle Lark, (by desire) Mrs. Chester, flute obligato, Mr. Stubbs - Bishop; QUINTETTE - Mr. Deane, Mr. Wilson, Mr. Stubbs, Masters J. and E. Deane - Hayden [sic] . . .
PART II. . . . SOLO - Flute, Rule Britannia, with Drouet's celebrated variations in C, Mr. Stubbs - Drouet . . . The very unfavourable state of the weather on Wednesday last, was the means of preventing many families from attending the Concert - not more than 100 persons composed the audience. Notwithstanding these discouraging circumstances, the performances generally went off with spirit and approbation. We never heard any overtures played better (in the Colony) than the Caliph of Bagdad, and Italiano in Algeri . . . Mrs. Chester sung several popular songs; amongst the rest, Bishop's beautiful and difficult composition - Lo here the Gentle Lark, which at the close was applauded. If this lady wishes to become a greater favorite with the public, and will take a piece of friendly advice, let her not sing every thing with the full power of her lungs, and her performances will be a hundred times more pleasing. It is not necessary, in a place like the Saloon, to sing pretty chaste solos as if a person were leading a chorus in "Old Drury;" other of our female vocalists appear to be misled by the same false impression. The quintette by Messrs. Wilson, Stubbs, Deane, and two Master Deanes, was very well performed, but too lengthy . . . Mr. Stubbs played a Fantasia upon the Flute, in his usual excellent style, and also accompanied the Overtures and Chorusses . . . Under the distinguished Patronage of His Excellency the Governor, who bas signified his intention of being present. MR. COLEMAN, Master of the Band 4th, or King's Own Regiment, BEGS to announce that his Concert of Vocal and Instrumental Music will take place on WEDNESDAY EVENING, August 17, 1836, in the Saloon at the Royal Hotel, on winch occasion he Will be assisted by Mrs Chester, Mr. Wallace, Mr. Deane and Family, Mr. Cavendish, Mr. Sippe, Mr. Wilson, Mr. Stubbs, and Mr. Josephson . . .
PART II. 1. OVERTURE, Maniac . . ., Bishop; . . . 6. SOLO - Kent Bugle, Mr. Stubbs . . .
Mr. Coleman's Concert took place, on Wednesday evening, according to announcement. His Excellency the Governor and Suite entered the Saloon at Eight o'Clock, and immediately afterwards, the Concert commenced. Owing to the rain which had been falling in heavy showers, during the afternoon and former part of the evening, the attendance - we were sorry to see was very thin - so thin as we should think would almost make it a losing concern to Mr. Coleman. Every thing, however, went off remarkably well, and this Concert left as little room to cavil as any at which we have hitherto attended in the Colony. The Overtures were both of them played in a masterly style, that especially from Von Weber's celebrated Opera of Der Freschutz [sic], which we hear had not prior to this occasion been performed here as written by its celebrated author, but for what reason we are at a loss to know . . . 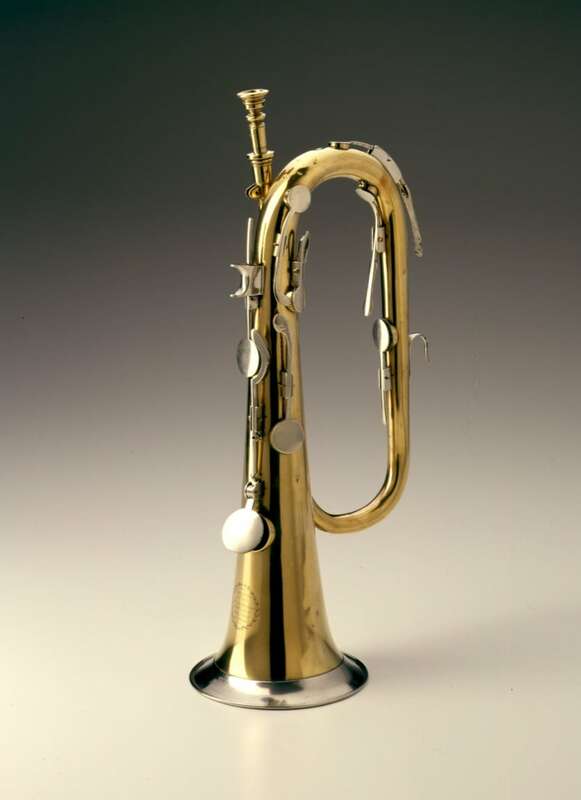 The two Solos by Mr. Stubbs were played as that gentleman ever does play, exceedingly well; that on the Kent Bugle both astonished and pleased the auditory, who requested its repetition . . .
We understand that Mr. T. Stubbs intends shortly to give a concert; and we hope that when it does take place the public will not forget to reward native talent of the first order. Our contemporaries say that Mr. Thomas Stubbs of Druitt-street has been engaged as Assistant, Agent and Auctioneer to the Firm of James and Co., at a handsome salary. . . . . 7. Our Fair Countrywomen - Currency Lasses. . . . . 8. The Fair Visitants of our Native Land - Minstrel Waltz - arranged expressly for the occasion by Mr. COLEMAN, 4th Regiment.
. . . 10. The Sister Colonies - Hail Australasia.
. . . 14. 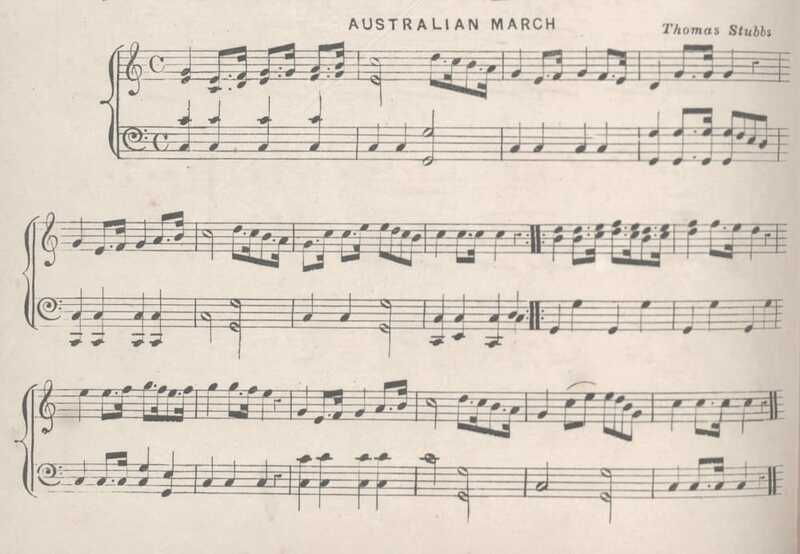 The President - Australian Minstrel March, arranged expressly for the occasion, by Mr. COLEMAN.
. . . 15. The Vice President - Captain Piper's Fancy . . . The first Australian commemoration of the anniversary of the foundation of the Colony, took place on Thursday evening, at the Royal Hotel, where upwards of two hundred Gentlemen, Natives of the Colony, sat down to an entertainment of the most sumptuous description, and the liberality and good taste displayed by the Stewards, on the occasion, was such as to call forth the warmest encomiums from their fellow countrymen . . . [toasts and tunes] . . . "The fair visitants of our Native Land" - Air, Minstrel Waltz . . . "The Sister Colonies" - Air, Hail Australasia . . . "The President" - Air, Australian Minstrel March . . . "Success to Australians all over the World" - Air, Australian Minstrel March . . .
. . . JAMES & Co. beg leave to suggest to gentlemen residing in the neighbourhood of Maitland, Newcastle, and Patrick's Plains, having any surplus Stock to dispose of, that they should not lose the opportunity thus afforded of bringing them to the hammer, as Mr. Stubbs will proceed by the steamer to Maitland, on Monday, the 20th instant, and will feel much pleasure in attending to the commands of any persons so disposed to sell. Philharmonic Society. THE MEMBERS of this Society are requested to meet at their Rooms, Castlereagh-street, on Wednesday Evening, the 22nd instant, for the election of Officers, and to make arrangements for the ensuing Season. The Chair will be taken at a quarter past seven precisely. THOMAS STUBBS, Honorary Secretary. February 11, 1837. NOTICE. ISAAC SIMMONS & CO. . . . have retained the services of Mr. Thomas Stubbs, as Assistant and Auctioneer, whose local knowledge of the Colony will at all times be an advantage . . .
CELEBRATION OF THE JUBILEE, OR FIFTIETH ANNIVERSARY OF THE Colony of New South Wales AT a preliminary Meeting held agreeably to Advertisement, on Tuesday Evening last, the 26th instant, IT WAS UNANIMOUSLY RESOLVED That a Public Meeting of the Colonists generally be convened on an early day, to adopt measures for celebrating the Jubilee or 50th Anniversary of the Colony of New South Wales. In pursuance therefore of this Resolution we the Undersigned, Householders of the Town of Sydney, do hereby convene a Public Meeting of the Colonists generally, to take place al the Royal Hotel, George-street, Sydney, on WEDNESDAY NEXT, the 3rd day of January, 1838, for the purpose of adopting measures for celebrating the Jubilee or 50th Anniversary of the Colony of New South Wales [undersigned] Geo. R. Nicholls, Thomas Stubbs . . . [and 23 others] . . . In the Press And will be published on the 26th Instant, the day after the Jubilee, or 50th Anniversary of the Colony, THE AUSTRALIAN JUBILEE WALTZ, (composed expressly for the occasion,) by Thomas Stubbs; Author of the Minstrel; and arranged for the Pianoforte by William Wallace, Member of the Anacreontic Society, London. This delightful little waltz has been composed by Mr. Thomas Stubbs, a native of the Colony, also the composer of the Minstrel Waltz, both of which were an arranged by Mr. William Wallace, the Australian Paganini. We have heard both of these pieces of music lately played by that talented performer, assisted by his brother on the flute; need we say that we were much delighted, not only with the performance but with the waltzes themselves, and particularly with the Jubilee, which is certainly a most delightful little piece of music; as such we can confidently recommend it to the notice of the public. We regret to learn, by the following extract of a letter from Captain Hayward, of the barque Fame (addressed to his friend in Sydney, dated 19th September), of the premature death of Mr. George Stubbs (brother to Mr Stubbs, of the auction mart), who was cut off in the prime of life whilst engaged in the enterprising object of his pursuits, together with other matters touching the prospects and success of our whalers during the present season . . . The Regia sails for Port Phillip and South Australia positively on Sunday next; after disposing of her cargo at those settlements, she proceeds on a speculative trip among the Eastern Isles. Mr. Thomas Stubbs, of the Auction Mart, proceeds by her as supercargo. Extract of a letter, dated Lombock, 14th July, from Mr. Thomas Stubbs, supercargo of the Regia to Mr. Isaac Simmons, of Sydney: - Several ships arrived here during the war, and amongst the rest was the Orwell and the Royal George, from Sydney, wanting rice; but I believe they were disappointed, it is an article in great demand on the continent of Europe, China, Sincapore, England, Copang, and all over the Malacca Islands, as well as Padang on the Island of Sumatra, and I have found it very difficult to procure here. The Regia returned yesterday from a speculative trip; her cargo consists of maize, rice, arrack, cocoa nut oil, and sundries; she left her supercargo, Mr. Thomas Stubbs, at Ampanam, where he has chartered a Dutch vessel to bring on the remainder of his purchases. We are happy to report the safe return of Mr Thomas Stubbs to his native place. He left Sydney rather more than twelve months since by the Regia, of which vessel he was super cargo. Daring his absence, he has visited several of the Eastern Islands, and forwarded the Regia from Lombock back to Sydney with a bumping cargo, which well repaid the owner, Mr. Isaac Simmons. He also chartered the Psyche, which also arrived here some few months since, with a full and saleable cargo, also for Mr Simmons. Mr. Stubbs, ever alive to the interests of those who engage him, made a further arrangement for the produce he purchased, and chartered the Dutch vessel Pleiades, and proceeded, by her to South Australia, and disposed of her cargo to good advantage; during his stay at Adelaide, he has also not been idle in his vocation, having travelled much over the Colony, and has made some very excellent purchases of land at Adelaide, and secured some of the best land with water frontage in the rising township of Port Lincoln. His eye yet remaining open for business prior to his return here, he looked in to see what the Port Phillipians were about, where he remained a few day's "looking about the country," and returned here in the Palmyra, on Sunday last, with a good round sum of the "needful." Mr. Stubbs has returned to Sydney, after an absence of some two years; during which time he had been engaged in pursuits which will probably be of great advantage to the commerce of New South Wales. Mr. Stubbs gives a most flattering account of the capabilities of the Indian Archipelago; and the results of his spirited speculations are, we are informed, a convincing proof of the advantages which would result from opening a regular communication with the places he has visited. The commodities which are to be obtained are highly valuable; they consist chiefly of gold, gold dust, tortoise shell, bees'wax, sandal wood, cocoa nut oils, tobacco, cotton, (silks and other sorts,) sago, and all the other productions of a tropical climate. Mr. Stubbs describes the natives as being highly tractable, and particularly kind in their treatments of English traders, although at present, the greater part of the trade is carried on through the Chinese and Burguese who have located on the islands. Captain O'CONNELL said, the toast I have now to propose is one that was not last year on our list. Since then Sydney has been promoted to the dignity of a city, and to its inhabitants has been entrusted the management of its municipal affairs . . . "The Right Worshipful the Mayor." Corporation Waltz, composed expressly for the occasion, by Mr. Thomas Stubbs . . .
. . . The health of the Mayor was then drunk in a very enthusiastic manner, the band playing the Corporation Waltz, a very pretty air, the composition, we understand, of Mr. Thomas Stubbs.
. . . Owing to my lameness, from which I soon began to recover, I did no active duty, except standing an occasional "trick" at the helm. It was in the forecastle chiefly, that I spent my time, in company with the Long Doctor, who was at great pains to make himself agreeable. His books, though sadly torn and tattered, were an invaluable resource. I read them through again and again, including a learned treatise on the yellow fever. In addition to these, he had an old file of Sydney papers, and I soon became intimately acquainted with the localities of all the advertising tradesmen there. In particular, the rhetorical flourishes of Stubbs, the real-estate auctioneer, diverted me exceedingly, and I set him down as no other than a pupil of Robins the Londoner . . .
A concert was held last evening, at the town hall, Flemington, in aid of the Hospital for Sick Children, under the patronage of Messrs. John Davies, J.P., P. McCracken, J.P., the hon. J. T. Smith, M.L.A., and the Revs. J. Barlow and J. G. Torrance. The following ladies and gentlemen kindly volunteered their services: - Mrs. Reed, Miss Tawse, Mr. T. Stubbs, and the ladies and gentlemen of St. John's choir, Melbourne. Pianist, Mr. J. Kemp; conductor, Mr. S. Greenwood, organist of St. John's. The singing sustained the reputation this choir has acquired. Mr. Greenwood and Mrs. Reed were highly applauded, and Mr. T. Stubbs on the flute gave great satisfaction, receiving an encore. STUBBS - On the 2nd inst, at Acland street, St. Kilda, Thomas Stubbs senior, aged 75 years. STUBBS - On the 9th ult, Frederick Octavius Fitz, eighth son of the late Thomas Stubbs, senior, aged 26 years. One of the oldest and best known business men in Melbourne, Mr. Thomas Stubbs, died on Saturday at St. Kilda. Mr. Stubbs, whose career as an auctioneer dated almost from the foundation of the city, was a celebrity in his day, and his name will not easily be for gotten. In business circles he was much esteemed for his kindly and genial disposition He died at the ripe age of 75. The death of Mr. Thomas Stubbs takes away another of the social landmarks of the colony. He was a man whom everybody liked, and who deserved that everybody should like him. He was believed, and with good reason, to be a natural son of George the Fourth, and certainly if facial resemblance be any guide to paternity, there could be little doubt of the connection. He was, moreover, a good specimen of the gentleman of the Georgian period, being compact, portly, and well-balanced. He was genial, social, and full of anecdote, and as an auctioneer of the ornate order, he had no rival. We are informed that some of the remarks made by our Melbourne Correspondent concerning the late Mr. Thomas Stubbs are incorrect; and that the gentleman recently deceased was the youngest of the children born in the colony. The late Mr. Stubbs was well known and highly respected in New South Wales as well as in Victoria. STUBBS. - July 2, at Glebe Point, Annie E., relict of the late Mr. Thomas Stubbs, of Melbourne, aged 72.
. . . Mr. Thos. Stubbs assisted Mr. Levey by giving a solo on the Kent bugle. Mr. Simmons and other members of the company had left, hence the necessity for seeking a little outside assistance. The Mr. Thomas Stubbs mentioned here become a person of some importance in the City of Melbourne, and has left some descendants of note. The above is an accurate description of Tom Stubbs as I knew him. A son Robert, who was in business as an auctioneer in George street, Sydney, adopted the "hyphen," and was known as Mr. Robert Fitz Stubbs. This gentleman married a lady of means, who was a witness when a girl to an awful murder, which has remained a mystery now for 60 years. Miss Maud Fitz-Stubbs, the eminent pianiste, is a daughter of Mr. Robert Fitz-Stubbs, and grand-daughter of the eloquent knight of the hammer of Sydney in the thirties and forties, and later in gold roaring fifties of Melbourne. Mr. Simmonds was an active stage manager, and as things were, he thought he saw an opening for another play house. There were several concert rooms in Sydney, but no regularly licensed theatre except the Royal. A notable event in music about this time was a concert given at the Pulteney Hotel concert room by Mrs. Taylor, "after her recovery from a serious illness." She was assisted by Messrs. Knowles, Simmons, Gordonovitch (a Polish refugee), Tom Stubbs, and Bonnar (who played the guitar), and Mr. Cavendish, a noted pianist, who had a some what mysterious history, and who lost his life by drowning in Sydney Harbor. Of him, more hereafter. The tickets for the concert were 7s 6d, and the chronicler says that the attendance was not by any means as numerous as was anticipated.
. . . Mr. Stubbs I knew well in after life. In 1835 he was a commission agent, residing in Druitt-street, and being a fine musician, used to assist in the orchestra or at concerts with his flute. There is an anecdote of Mr. Stubbs worth telling. In or about 1847 he was on the voyage to Melbourne in the not-over commodious ships of those days. Amongst the passengers was Dr. J. D. Lang, the fiery pastor of the Scots Church, Jamison-street. A Sunday happened in the voyage, and Dr. Lang held service in the portion of the vessel which did duty as a saloon. Mr. Stubbs, who was always a good churchman, English, for choice, volunteered to assist "in the choir." In the door of a sleeping cabin sat Mr. Stubbs, at intervals, playing sacred music on the flute. In after life he did duty as a portly churchwarden at St. James's, Melbourne, and was a particular favorite with old Dean Macartney . . .
. . . Mr Thomas Stubbs, a well-known auctioneer in years after in Melbourne, gave a concert at the Royal Hotel, assisted by the whole of the professors and amateurs of Sydney. Mr. Stubbs was a good flautist, but he played on other instruments as well. Tom Stubbs was an important personage in Melbourne from 1848 until his death in 1878. His fine-portly figure was an institution on The Block. His musical talent has been transferred to his grandchildren and great-grandchildren, Miss Maud Fitz-Stubbs (Mrs. Woods) and "the twins" standing in that relationship to the old Sydney and Melbourne auctioneer. Mr. Thomas Stubbs, it may be remembered, was considered a good replica of the Prince Regent (afterwards George IV), in fact, the family claim to have the blood of the Guelphs coursing through their veins. Tom Stubbs celebrated his golden wedding two years before his death. A report of Catherine Hayes's and Lewis Lavenu's 1855 concerts copied from the Calcutta papers reports the involvement of "a gentleman rejoicing in the patronymic of Fitz Stubbs on the guitar". Robert was in turn father of the composers Percy Fitz-Stubbs, Maud Fitz-Stubbs, and Madeline Fitz-Stubbs (see below). But it was probably Napoleon who was Hayes's guitarist in 1855. According to the shipping lists, he arrived in Calcutta (from Galle) with Hayes and Lavenu on 3 January 1855. After his co-artists had returned to Australia, he joined the 28th Regiment, then in India, as an ensign on 16 October 1855. He was in Malta with the Regiment in April 1858, but, having briefly returned to England, was by 1859/60 in Canada. He reportedly died in 1903. A Napoleon Fitzstubbs also appears as a character in the Desprez, Felix, and Reeve vaudeville A private wire (London, 1883). Per steamer Norma (Jan. 3), from GALLE. - Col. Haythorne, H.M.'s 98th regt. ; Mrs. and Miss Catherine Hayes, Messrs. Bushnell, Dency, Lavena [sic], Robertson, Stubbs, Wendelstalt, and Wrincolt; and Lieut. Hickey. Many of our readers will be glad to hear that this gifted lady contemplates a second visit to our city; and her sojourn, we have reason to believe, will be of some duration. Miss Hayes writes in April from Batavia, where her success has been most complete, her magnificent powers of singing and acting being ably supported by the French operatic company located in that singular city. A file of Calcutta papers, just received, contains many enthusiastic critiques on her performances in the "city of palaces", and although it seems the first three concerts did not command overflowing audiences, yet the remainder of the series were entirely successful, the proverbial apathy of the people being at length overcome. The voyage from Melbourne to Ceylon in the Norna must have been unusually agreeable, as the passengers, with Miss Hayes' assistance, gave a succession of operatic and dramatic entertainments, and the addresses delivered on the several occasions written, we imagine, by our facetious friend, M. Lavenu, are very amusing. The programmes place Miss Hayes for Bishop's glee, "Blow gentle Gales", assisted by Lieutenant Woolridge, R.N., Captain Burne, and Mr. Bain; also a selection of her favourite songs, concluding on each evening with the National Anthem: the solos by Miss Hayes, M. Lavenu on the harmonium, a gentleman rejoicing in the patronymic of Fitz Stubbs on the guitar, with numerous vocal displays by the rest of the company. 28th Foot, Napoleon Fitz Stubbs, gent., to be Ensign by purchase, vice Kingsley, promoted. This gentleman is the third son of Mr. Thomas Stubbs, formerly a large auctioneer in Sydney, who is now on a visit to England. The following entries are for three musically prominent grandchildren of Thomas Stubbs and Annie Fitz, children of Robert Fitz Stubbs (1828-1887) and Rosina Wilson (c.1833-1913). As Lyn Collingwood discovered, Rosanna [sic] Wilson was probably the daughter of coach spring maker Edward Wilson and his wife Eliza (died 1838), born on 9 November 1833. While still a child, she inherited a large estate from her guardian, Mary Hoadley, who was brutally murdered in 1845. As Rosina Therese Wilson, she married Robert Fitz Stubbs at St. Mary's Cathedral, Sydney, on 21 September 1852, and moved with him to Melbourne, where the two elder of their musical children below were born, Percy Thomas (1855), and Ada Maud (1861). On return to Sydney in the mid 1860s, they lived first at Balmain. In the early 1870s Robert purchased a house at 357 Glebe Point Road, in his wife's name, which they named Bidura. STUBBS. - On the 25th inst, at Auckland, New Zealand, Percy, eldest son of Robert Fitz Stubbs, Esq., of Sydney, N.S.W. ; aged 32. Amongst the other numbers, one of special interest may be named in a quartet for voice, violin, organ, and piano, being a musical setting of Longfellow's "Psalm of Life", composed by Mr. Percy Fitz-Stubbs, which will be interpreted by Mr. Harry Woods, Herr Pechotsch, Mr. Harrison White, and Miss Fitz-Stubbs.
. . . The choruses from an opera by the late Percy Fitz-Stubbs were sung by a bevy of young ladies who had been trained under Mrs. Fred England, who herself took the solos. The past has been comparatively a quiet week. In the musical world the doings have been confined to the Garden Palace . . . On Thursday Madame Summerhayes gave a recital on the Brinsmead piano . . . The great attraction of the afternoon was undoubtedly the recital of Miss Maud Fitz-Stubbs on the semi-grand piano of Lipp (Stuttgart), exhibited by Elvy and Co. This young lady, in addition to very rare natural musical gifts, has had the benefit of every music teacher of eminence who has visited the colony. Henry Marsh, John Hill, Charles Edward Horsley, Madelaine Schiller, Jules Meilhan, and Paolo Giorza have in turn been her instructors; and each and all agreed in the exceptional original endowments and in the earnest application which has gone hand in hand with the talent. The result is rarely equalled by one not intended for the profession of music: thorough mastery of the technical part of pianoforte-playing, a wonderfully retentive memory, which enables her with the greatest ease to transfer to mental tablets the pages which to others involve weeks or months of patient labour; a brilliant execution, intelligent reading, and a simplicity of manner, combine to make her performance attractive in the highest degree. She gave all her solos from memory; they were Liszt's Rhapsodie Hongroise II., the same which Signor Giorza played last week; a charmingly pensive nocturne in D flat, by Campana; a graceful, elegant rondino by the refined Dohler, and the familiar Australian March by Signor Giorza. In addition, she accompanied Signor Ortori in a Valse de Concert ("L'Aragonesa"), by Alard, and in the third fantasia of a set by Hubert Leonard, "Regrets et Prière." This opens with an adagio introduction; an expressive melody moderato is the theme, which is followed by two brilliant variations. The prayer, a pathetic, entreating andante, succeeds. The opening subject is reintroduced, and in a sparkling vivace the last movement ends. The applause which burst from the audience was for the players and the composition, and a portion was repeated. Harry Woods Harries His Wife. HE WON'T KEEP THE LITTLE WOODS. And Won't Give His Wife a Fair Chance to Earn Them a Living. He is "Bound Over to be of Good Behaviour." At the Water Police Court on Thursday, before Mr. Payten, S.M., Maud Woods applied to have her husband, Harry Robert Woods, bound over to be of good behavior towards her. The complainant in the case was the well-known pianist and composer, Maud Fitzstubbs; and her tale of persecution at the hands of the degenerate, drink sodden fellow who still calls her wife shows the depths of degradation to which even a wooden man can descend . . . Formerly known throughout the word as Miss Fitz-Stubbs, noted Australian pianist and composer, Mrs. H. Woods, an old resident of Hong Kong, died at the Kowloon Hospital on Sept. 1, in her 80th year. She is survived by a son, Mr. Val Woods, who is in Australia, and by four daughters. The Misses Aileen and Doris Woods of Hong Kong, Mrs. Lenore Whinfield, and Mrs. David Dennis, at present in England. During her career, Mrs. Woods was acclaimed for her musical compositions and pianoforte achievements, and Maud Fitz-Stubbs' celebrated waltzes include "Heather" "Orlando" "[??]" "Premier" "Governor-General" and Vice-Regal." The "Governor-General" was dedicated by Mrs. Woods to the Earl of Hopetoun, and the "Heather" had the distinction of being performed by command of Queen Victoria at State Balls in Buckingham Palace by Strauss' celebrated orchestra. As a composer of waltzes, Mrs. Woods was claimed to be preeminent and has been styled the "Australian Strauss." Arriving in Hong Kong about 22 years ago, Mrs. Woods soon established herself as a musician of highest merit, and gained a large circle of friends. She interested herself, as did her daughters, in local concert work. Miss Maud Fitz-Stubbs, now Mrs. Woods, developed a talent for the piano when quite a child, and at 6 years of age performed at a concert given in 1867 by Mr. C. E. Horsley. Under careful tuition Miss Fitz-Stubbs rapidly progressed, and became a brilliant performer, and the leading Australian amateur pianist of Sydney. Her popularity with the public is well deserved, and when she performs receives the warmest assurances of the pleasure she affords the audience. Three other daughters of Mr. Fitz-Stubbs are also talented on the piano . . .
JMacR, "Rosina and Maud Fitz Stubbs"
Born in Sydney on 17 January 1871, Madeline was named after the visiting pianist Madeline Schiller, who had given her first Sydney concert a week earlier, on 10 January 1871, and who briefly taught her elder sister Maud. She married the historian and librarian Frank Bladen on 25 August 1897, but continued to publish as Madeline (once also Madoline) Fitz-Stubbs. She was reported in 1926 to be living in Europe, possibly in Paris. A grand amateur concert in aid of the funds of the local rowing and cricket 'clubs was given last evening by Mrs. Harry R. Woods, at the Odd- fellows' Hall, Manly Beach, and it was a decided success both in a musical and financial sense. Mrs. Woods, who as Miss Maud Fitzstubbs has for many years been recognised as a pianiste of exceptional ability, had obtained the assistance of several of her sisters and brothers, all of whom have more or less a talent for music, and of 12 or 14 gentlemen who sang in excellent style a number of part songs. Mrs. Woods played a fantasia on the "Blue Danube" waltz, cleverly arranged by herself, and this was loudly encored, but the lady merely bowed her acknowledgments. Mrs. W. H. Pinhev and Mr. H. R. Woods sang a couple of operatic duets, which were equally successful, for the gentleman was in good form and the lady possesses a very flexible pleasant voice, which she used with good effect. The Misses Linda, Fulvia, Vivienne, and Madeline Fitz-Stubbs played pianoforte duets and trios. Mr. L. Fitz-Stubbs whistled a solo from "Il Barbiere" very cleverly; Miss Madeline and Master Stanley Fitz-Stubbs danced a High-land fling gracefully, and Mrs. Woods and Mrs. Pinhey sang solos. It was not intended that encores should be allowed, but the audience enjoyed different performances so much, that the rule had to be broken, and so the concert lasted until nearly 11 o'clock. As the Sydney visitors left Manly by steamer several choruses were sung, and the journey to the City was enlivened by part songs.